Retractable leashes have long been a controversial topic with strong feelings for both the pros and cons of using them. Many owners like them because of the additional freedom they offer their dogs, especially if you don’t have a large backyard for your dog to run around in. However, most people have also experienced a dog on the end of their retractable leash, wrapping themselves around you or charging up to your dog with their owners trailing 30ft behind them trying to untangle them and reel them back in. The situation may seem harmless, but can pose a whole series of unexpected consequences. A leash by definition is supposed to allow you to safely have control of your dog. By allowing your dog to be 30 ft ahead of you, retractable leashes do the exact opposite of that! If your dog is out of reach, keeping them safe from a strange dog, or from eating something they shouldn’t becomes much more difficult. What if you press that lock button a little too late and your dog darts into the street and is hit by a car? Dogs that are leash pullers can easily pull the clunky handle of a retractable leash from your hand, which then often scares dogs as it’s bouncing, clanking, and dragging behind them so they end up bolting trying to get away from it. The lack of control that retractable leashes offer pose serious threats that are often overlooked until it’s too late. 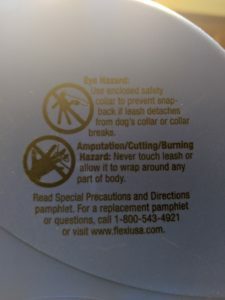 Retractable leashes have a long track record of causing injuries to both dogs and owners. The thin cord has been known to cause serious burns and cuts to both dogs and owners. Some owners have even reported amputations from getting the cord wrapped around their fingers trying to reel Fido in to safety. The cord of a retractable leash can easily get entangled around bushes or other dogs and people making them prone to resulting in inury. Let’s talk about the leashes themselves. Known for not being sturdy, the thin cords of retractable leashes have a tendency to snap, often resulting in facial injuries(broken noses, cuts and bruises) for owners, and neck injuries for dogs, as they come flying back at them. Not to mention, while you’re doubled over in pain, your dog is now running free! The lock button has also been known to not wear quickly and result in not functioning when you need it most! We definitely don’t want your furry best friend running towards the street without a way to stop them! The very nature of the pulling motion that retractable leashes use as your dog moves forward, encourages pulling and is counterproductive to those good leash manners that make walks fun for both you and your dog. Teaching your dog not to pull on a leash, but then putting a retractable leash on them, only serves to confuse your pup and leave them wondering what exactly mom/dad want from me. Nobody wants their dog pulling on a leash not only because it’s not fun to have a dog pulling you down the sidewalk, but more importantly, it can be very dangerous and cause serious injuries to your dog, so we definitely do not recommend using any product that promotes leash pulling. 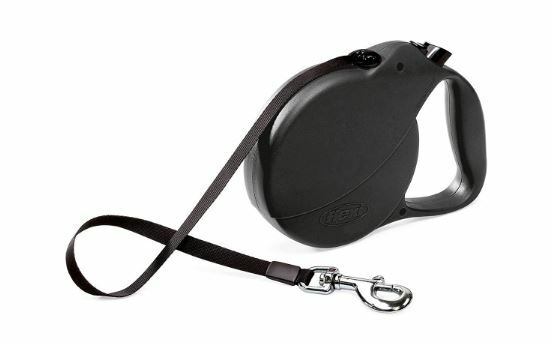 If you’re convinced that your retractable leash is no longer for you, Dog Training Now highly recommends a quality leather fixed-length leash. We use leather exclusively because it is easy on the hands, durable, flexible, doesn’t stretch, and looks great! Dog Training Now stocks a great selection of handmade locally produced leather leashes that we use in training. Stop by our studio to purchase yours!